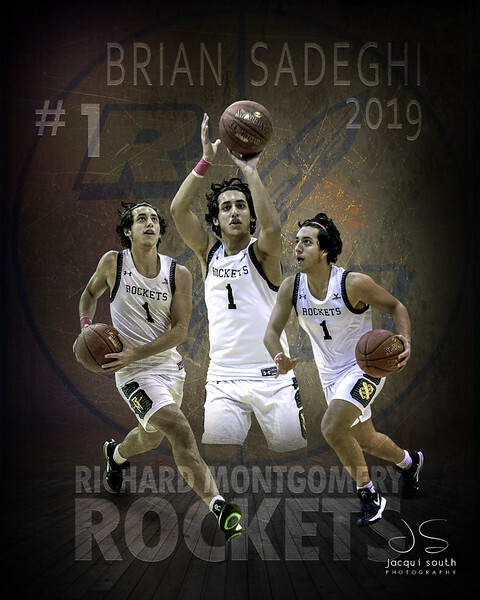 Richard Montgomery High School senior basketball posters. B-CC High School boys and girls basketball team. 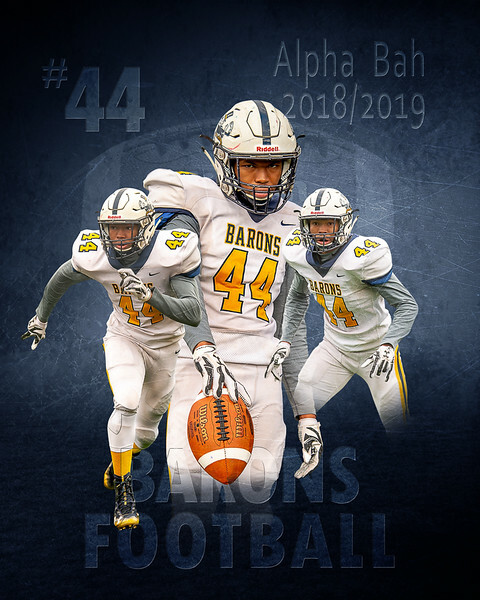 Go Barons! 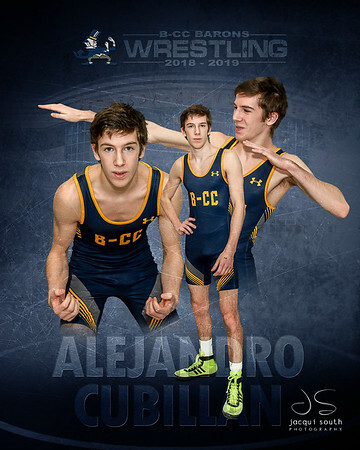 B-CC senior wrestlers Alejandro Cubilla, Braden Brinson and Eli Guttentag. 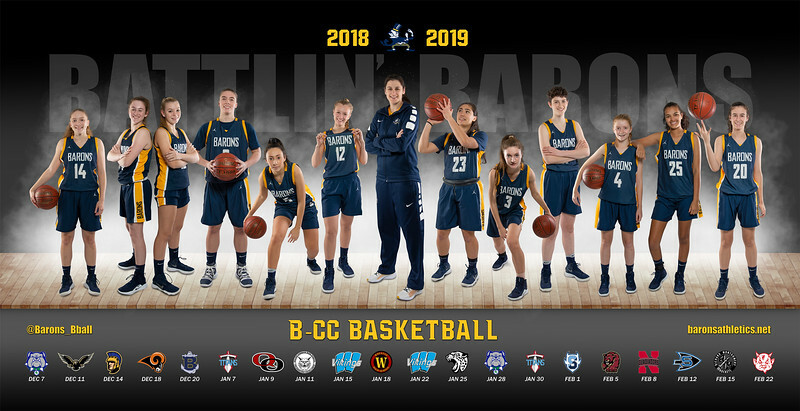 2018/2018 B-CC boys and girls basketball teams wanted a banner designed for the gym. The banner needed to include the schedule and each player photo. 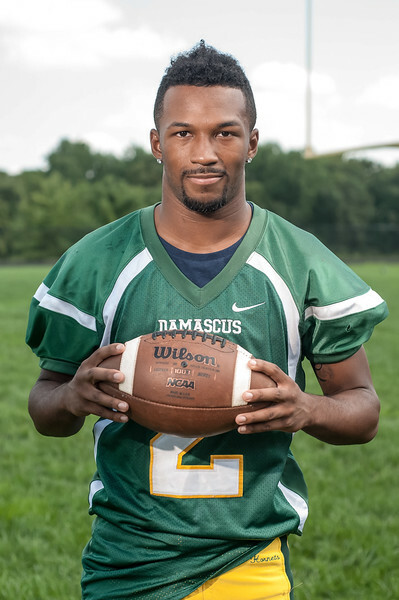 Once tryouts were complete, we scheduled a time to take portraits of the players and coaches. Those images can be seen here. 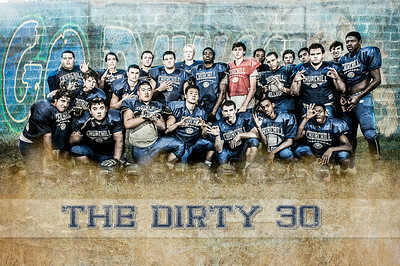 Both Coach Ingalls and Coach Tracy had input on the final image that was created for the banners and posters. Below are the two final images used in the banners and posters. Go Barons! 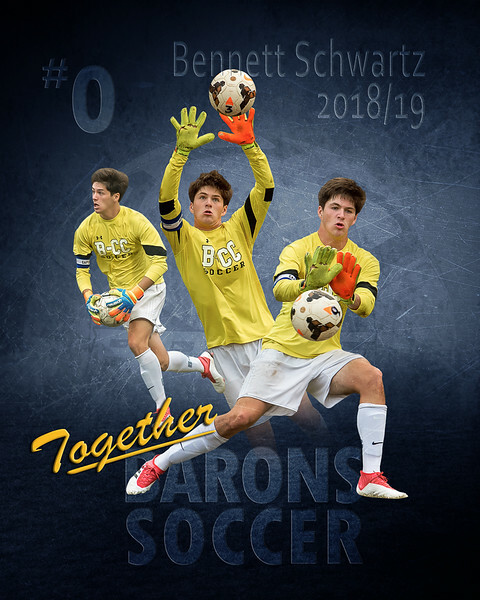 2018/2019 B-CC senior boys and girls soccer posters. 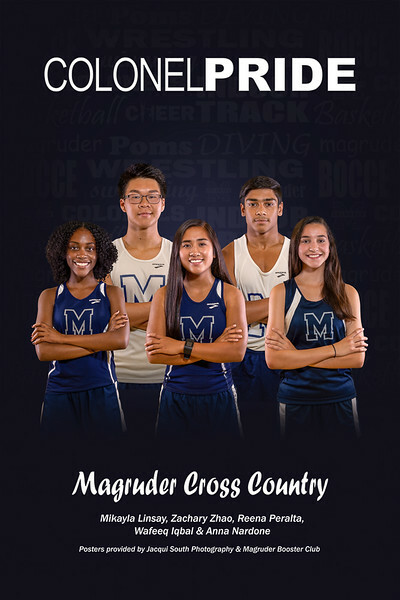 Fall 2018 - Here's the team captain posters for the fall 2018 sports: Cheer, Cross Country, Field Hockey, Football, Golf, Poms, Boys Soccer, Girls Soccer & Girls Volleyball. 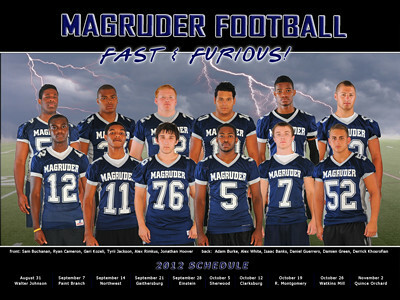 These posters are for sale through the Magruder Boosters website. All proceeds benefit Magruder Athletics. Richard Montgomery 2018 senior baseball players. 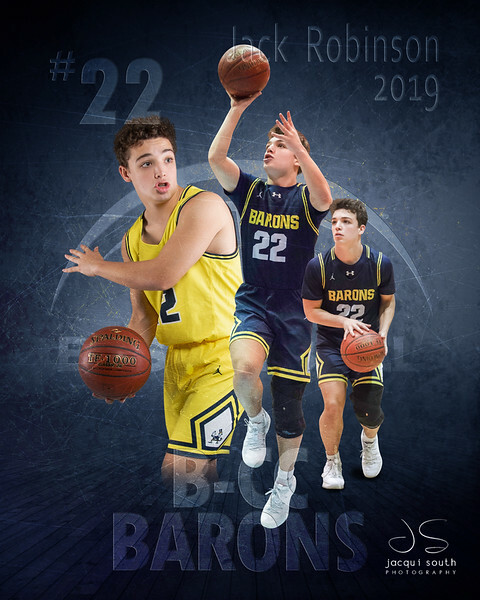 February 15, 2018 - Basketball senior posters created for Bethesda-Chevy Chase boys and girls basketball teams for senior night. 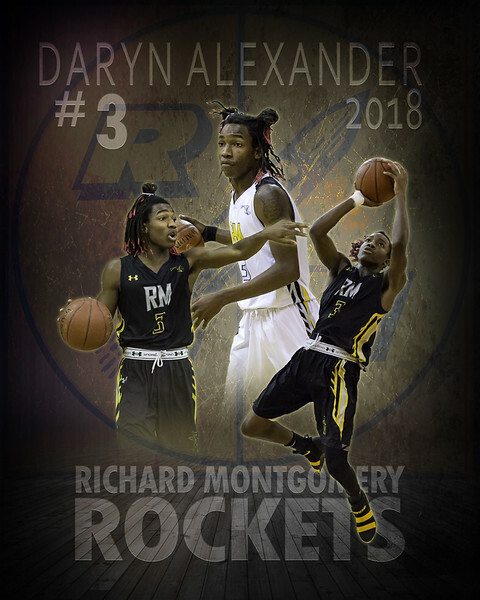 February 13, 2018 - Basketball senior posters created for Richard Montgomery boys basketball team for senior night. 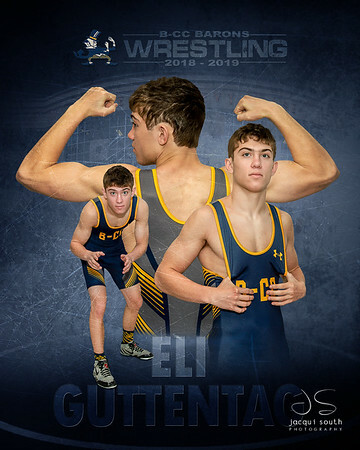 Coaches/team parents requested sports composite posters for the graduating seniors. This requires coordination with each team coach, to ensure that I attend games where the specific players will be participating. 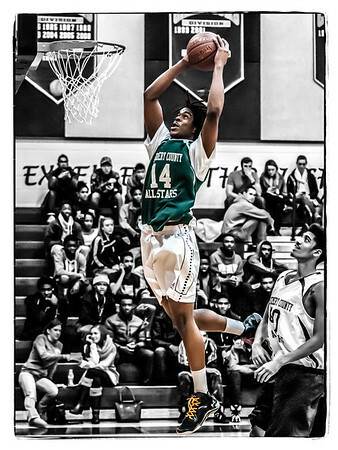 In the 2015/2016 school year, I created posters for the boys and girls basketball teams. 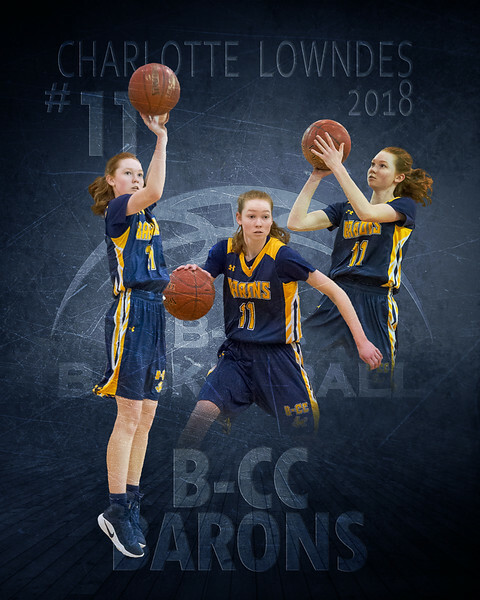 In 2016/2017 I created a new template for the teams requesting the composite posters: boys basketball, girls basketball and boys lacrosse. I plan to grow this project each year until it spreads throughout Magruder High School and into other programs as well. 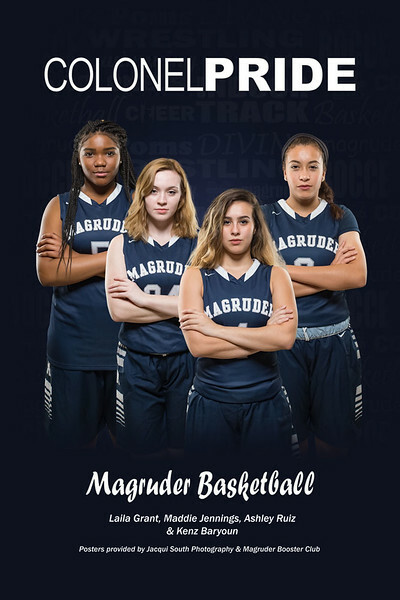 The athletic director, Karl Heimbach, at Magruder High School approached me to create inspirational sports posters to display in the school hallways. He had seen posters at a different school that he wanted to emulate. 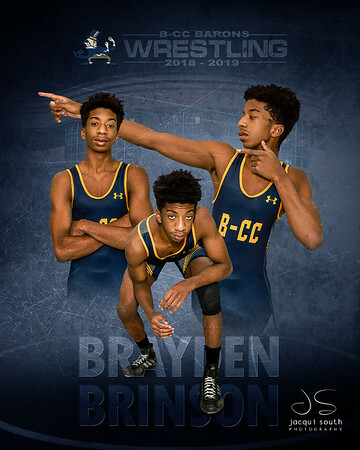 I met with the other school's athletic director, and he told me the photography teacher and students at the school took the club and athletic team captain portraits and created the posters. I really liked the idea of having students involved in the project, so I found a couple of photography students to help with the portraits. Ideally the students would be involved in every step of the project, from inception to delivery to the school, but their busy schedules prohibited them from giving that much time. Hopefully next year, now that I know the process, new students will be able to take on more of a role. In the 2016/2017 school year we were able to create posters for the winter and spring sports. We even coordinated with the athletic booster club to sell the posters, with all proceeds going back to the athletics at the school. I'm looking forward to continuing this project for many years to come! Coach Carl Parker and I met a few years ago when he was AD at Takoma Academy, and I was covering a basketball tournament. 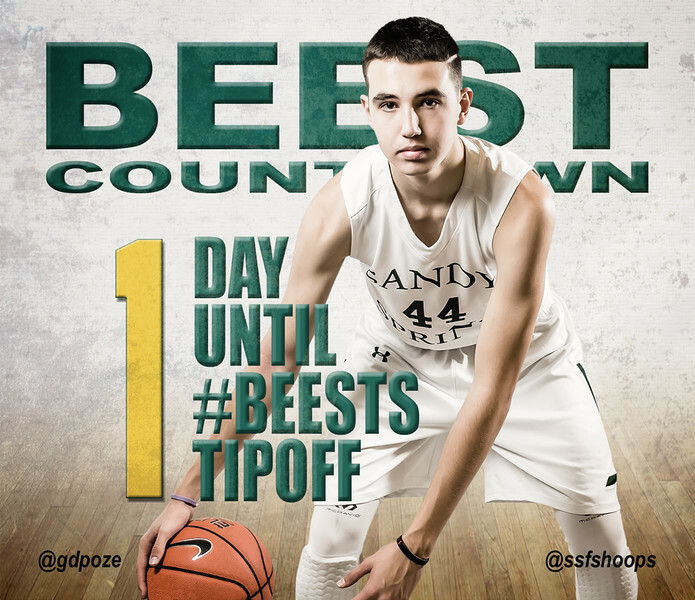 Lucky for me he kept my contact information and asked me about creating a custom poster and social media images for the varsity boys basketball team at Sandy Spring Friends School. A great opportunity for Phil and I at GDPoze! The QOHS girls basketball coach wanted social media images similar to what he was used to seeing when he worked at a university. Phil Fabrizio and I took player portraits, and converted them into social media images that announced upcoming games. 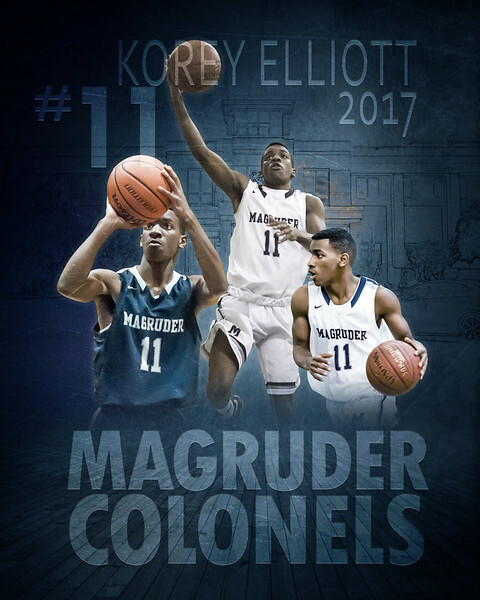 The same portraits were also used for pre-season schedule posters, end of season game results posters, and player posters with individual stats. 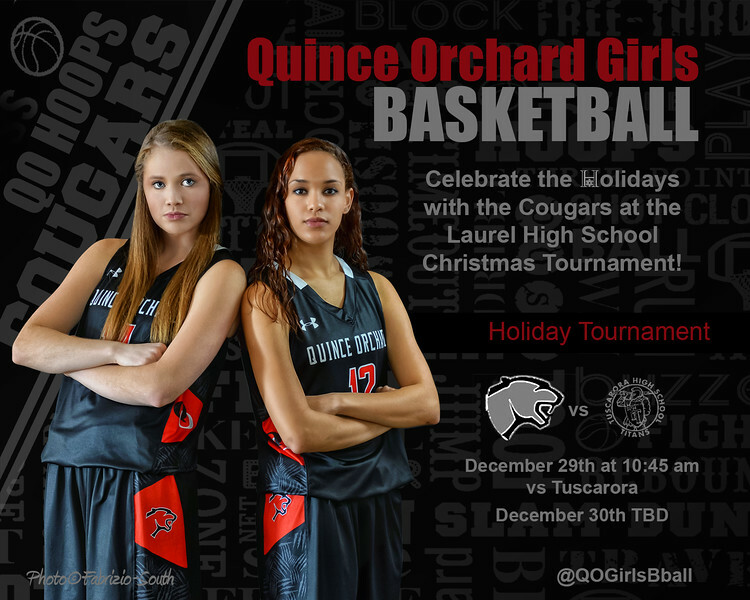 Game announcement for QO girls basketball. It is comprised of individual player portraits, and upcoming game information composited onto custom background that coordinates with team poster and individual player posters. I heard through the grapevine that the coach had come to call his football team the 'Dirty 30' because only 30 players came out for the team. This was for a varsity high school team, so 30 players was an extremely low number. I thought this would make a great feature story at the Sentinel, and I had some ideas about creating an image that would incorporate the team nickname. After a couple of visits to the team practice I was able to get some images that I combined to the team poster. 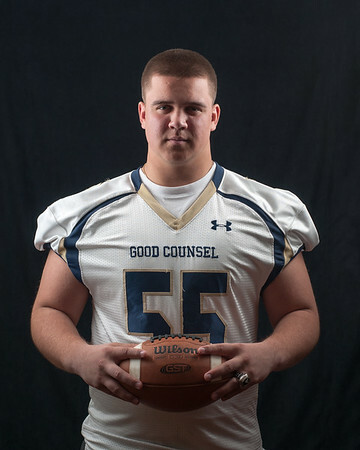 While taking Joe's senior portraits, I envisioned a final portrait that evoked the intensity with which he played football. Joe was a trooper while I re-set up the lighting to get the right mood. A few tweaks in Photoshop and the image was complete. The icing on the cake? This image won 1st place in the Gaithersburg Camera Club. 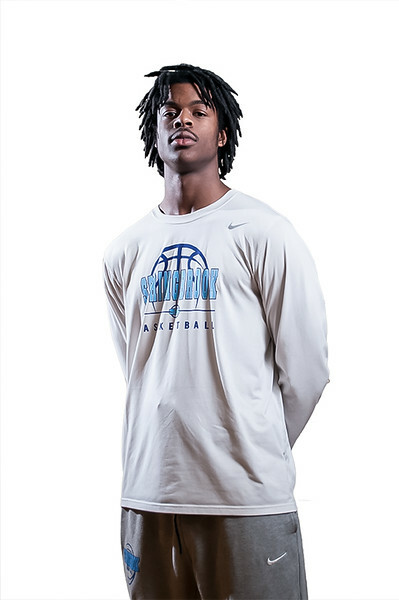 In an effort to make the All-Sentinel basketball photos stand out from the normal head shots, I took individual player photos in front of a white background/wall. The players were extracted from the backgrounds, edited and combined into a group composite. Final lighting and tonal corrections then the appropriate text completed the image. A couple of variations of the final image. 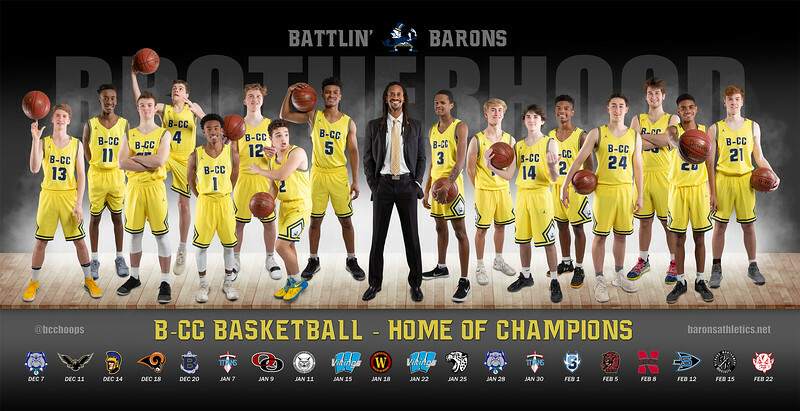 After winning the 2nd state championship, the coach requested a special poster that included a photo of the team taken after the championship game, team schedule and game results. After the 2012 was created the coach asked the same for the 1st state championship team. 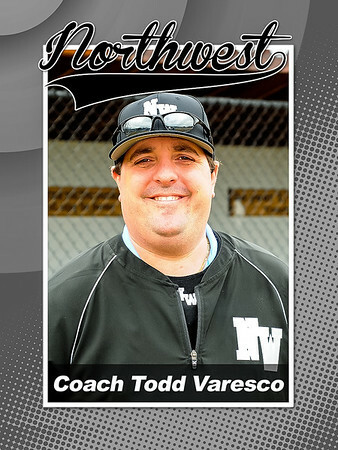 He provided the photo and the scorebook, and using the first poster as a template, the 2001 team photo, games and scores were added. Reporter Holden Wilen is a huge baseball fan and in his first spring with the Sentinel he could not wait for baseball season. He and & I were determined to put together a baseball preview similar to the football preview the Sentinel created each fall. 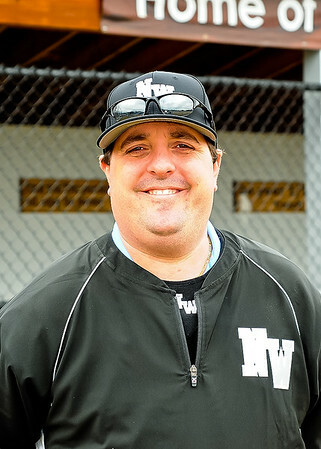 We attended baseball practices and scrimmages and I got head shots of players and coaches. Instead of the generic head shots, I thought creating baseball card images would make a greater impact. To our dismay, the baseball preview wasn't published, only a few stories and the generic head shots. After seeing a few amazing images by photographer Woody Walters, I wanted to try out the smoke effect. 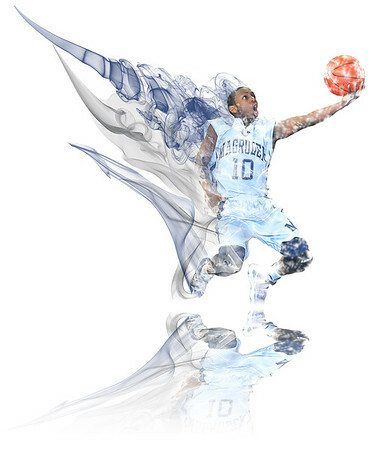 I had the perfect basketball image of JJ as he seemed to fly through the air. After a few hours in Photoshop, I got a fun image that I really liked. The program needed a boost. Over the summer, pre-season, the coach and senior players met in my garage. Not exactly the ideas studio set up, but the players were patient while the individual and group photos were taken. The subjects were extracted and I combined them with an image of the school field, moody clouds and lightening. The team motto 'Fast and Furious' was added along with team and player names. Posters of the team, players and groups were created. One tactic to isolating the subject from the background is to remove color from the background so the subject (in full color) pops. Taking it further, a bit of grunge and a border was added to these images to achieve a different look. Every basketball fan of a certain age knows the 'Wings' poster of Michael Jordan. I was asked to re-create a similar image. I met a few challenges, beginning with the shoot. I only had a narrow black background, and when Justin spread his arms, they spanned much further than my background. This proved a bit difficult when extracting the subject (something I now outsource to a great company called Rebooku), but I got it done. The next obstacle was matching the color and tone from the original Wings poster, without having it in front of me. Using a cell phone photo as my guide, I pretty much got it right. And instead of using a quote from William Blake, 'No bird soars too high, if he soars with his own wings', we selected someone more contemporary, Tim Tebow. 'If you believe, unbelievable things can sometimes be possible'. And instead of 'WINGS' along the top, we spelled out the players last name, 'WITMER'.